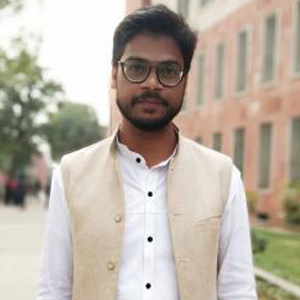 Md Irfan holds a Ph.D (Dec 2018) in Political Science from Jamia Millia Islamia, New Delhi. His doctoral research focused on regional political parties in North India. He was previously worked on various projects with eminent practitioners. Recently he had completed an impact study with Lokmanch. Irfan, Md, (Article) “Jayaprakash Narayan” in Modern South Asian Thinkers (eds.) Sanjeev Kumar HM and Dev Pathak, published by Sage Publications, July 2018. Md Irfan, a review of the book – The End of Representative Politics by Simon Tormey, Political Studies Reviews, Vol. 15, Issue 2, 312. February 2017. Md Irfan, a review of the book – Parties, Elections and Electoral Contests: Competition and Contamination Effects by Marc Guinjoan, Political Studies Review, Vol 14, Issue 3, 418-19. August 2016. Md Irfan (2015) ‘A Step Ahead of Casteism: New Era of Class Politics, A Dilemma’ in Anupama Singh (ed. ), Democratic Governance: Issues and Concerns, New Delhi: Avon Publications. Md Irfan, a review of the book – Handbook of Politics in Indian States: Regions, Parties and Economic Reforms by Sudha Pai (ed. ), Political Studies Review, VOL 13, 239– 316. May 2015.